Looking for the best Cydia Sources/Repos for iPhone and iPad? You’re at the right place! This post will cover some of the best Cydia repos that are available out there! If you have a jailbroken device, you probably have Cydia installed and are probably using some repos. But if you have been looking for some of the best Cydia repos, continue reading this post. For the uninitiated, let’s briefly explain what Cydia is. Anyone who has been using iOS for awhile now has probably heard terms like “jailbreak” and “Cydia” many times over. For the uninitiated, Cydia is the App Store equivalent of jailbroken devices (i.e. devices that have been modified for the removal of manufacturer-imposed restrictions). Cydia contains apps, tweaks, settings, and other content that Apple doesn’t allow on the App Store. Want to change the lockscreen of your iPad/iPhone? There are Lockscreen themes on Cydia that allow you to do just that. Want to change your status bar or dock screen? No worries, Cydia has the solution. Fed up with the menu icons and fonts? Just go to Cydia and download the custom icon and font packages of your choice to change the appearance and feel of your iOS device. For more info on Cydia, do check out our post on Ultimate Cydia Guide for Beginners. Cydia is about repos and tweaks. So let’s head straight to some of the best repos in Cydia! Well, this one’s got to be in the list! Widely considered as the best Cydia source repos available, this repo is home to thousands of apps, mods, and themes. And the best part – it comes pre-installed with Cydia! BigBoss repo lets you change the look and feel of your device. For example, Bloard is an alternative for the white keyboard. Wish to change home screen looks? Try Bigifi. There are literally thousands of tweaks to choose from. BigBoss, no wonder, is named BigBoss. If you are a fan of F.lux on desktop PC and want it on your iOS device, then this repo is the one for you! F.lux is well-known for those wish to improve their viewing experience on iOS devices. In fact, some users have mentioned that F.lux actually works better than Apple’s very own “Night Shift” implementation. This one’s got to be one of the best Cydia sources. Widely seen as the best alternative that there is to Installous, vShare is like the app store in itself, offering many apps that you can use without jailbreaking your device. The awesome and absolutely stunning Winterboard and Dreamboard are part of vShare. To know more about vShare, check out our post on how to Download and Install vShare on iPhone Without Jailbreaking. This one is also one of the most popular Cydia repos. Like BigBoss, this comes pre-installed with Cydia and offers you the most popular apps, mods and themes. Tweaks like BatterySafe make sure your battery survives heavy usage, while apps like BytaFont 2 allow you to change default fonts into exciting ones! If there’s one repo that provides you thousands and thousands of tweaks, themes, ringtones and more, it’s got to be BiteYourApple. This repo is even used for games, cheats and cracks. Author of two amazing iCleaner Pro tweaks for jailbroken devices, Ivano Bilenchi, has two repos for jailbreakers. The first one has stable software releases like iCleaner and iCleaner Pro for iPhone and iPad. The second one contains some of the latest beta software releases. This repo is popularly known as the Cydia games repo. You can block annoying ad pop-ups by installing AdBlocker. There are also apps like AirBlue Sharing for Bluetooth sharing. This repo features thousands of interesting games organized in different categories. YourTube, Mario, Zephyr, Angry Birds are some of the other popular apps in this repo. One more addition to the list of best Cydia sources. The name is deceptive. This repo doesn’t have apps that tell you how to bake a delicious cake. But it does have some of the best games! Be it Mario or DirtBikeMX, this repo is the to-go place for games. One of the top Cydia sources, this repo has an amazing collection of apps to customize your lock screen, folders, status bar and many more. You can also customize gesture of apps and icons. This repo has native as well as iPhone compatible web apps. This is an App Store in itself, offering a wide range of apps. Looking for the best repo that has cracked Apps? SiNful hosts a number of cracked apps and will also let you download Installous, vShare and many other apps, which in turn will let you download many other free apps. This repo is among the best Cydia sources and offers a wide range of apps, tweaks, HD themes, utilities, ringtones and much more. Not just that, this repo offers the newest version of the apps, since this repo is constantly being updated. With iHacksRepo, outdated apps are a thing of the past! As you are probably aware, transferring files from iOS to non-iOS devices like android via Bluetooth isn’t easy. You can only share stuff with other iOS devices using Bluetooth. This repo helps you install AirDrop which lets you share files between iOS and Android devices seamlessly. There are many other repos that are equally good. However, we cannot cover all the top Cydia sources. 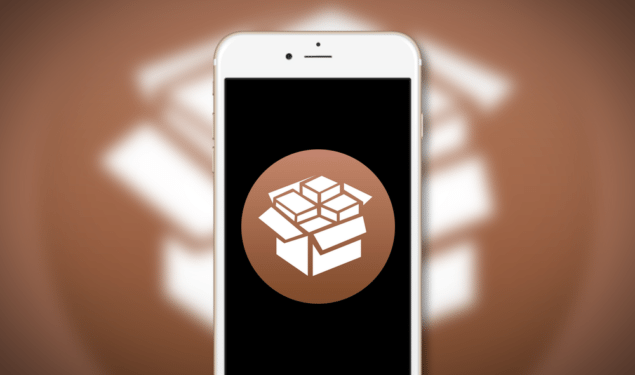 We have mentioned some of the best Cydia sources that should serve all your tweaking needs. If you do know some of the other best Cydia sources which our users will benefit from, do share in the comments section! Also, check out our post about best tweaks in Cydia.